Are You Developing Cavities in Your Sleep? You might think that’s a funny way to ask if you’re developing cavities fast, but really—you might be developing cavities while you’re trying to rest at night. How? Unfortunately, when some people sleep at night, their mouths may fall open and cause them to snore, breath heavily through the mouth, and eventually dry their mouth out. Not only that, but more bacteria are able to enter the mouth and fester because there’s little to no saliva to naturally clean your mouth. Is your throat scratchy in the morning? If you answered yes to some of those questions, you might have a dental concern on your hands. Dry mouth not only leads to tooth decay and cavities, but it can also catalyze gum disease and even lead to tooth loss in the future. Now, your dentist isn’t going to recommend taping your mouth shut to stop you from getting a dry mouth, but your dentist will be able to help you determine the cause of your dry mouth. By evaluating your current oral health, discussing your habits when sleeping, and looking at the inner and outer structures of your smile, your dentist will be able to recommend the best form of treatment. Sometimes, if you have an obstruction that causes your mouth to open, like obstructive sleep apnea, your dentist may be able to make a custom oral appliance for you to wear at night. This will help to free your obstruction and keep your mouth moist enough to fight off bad dental bacteria. If you have questions about other ways that you can work to prevent cavities, don’t hesitate to contact your dentist. 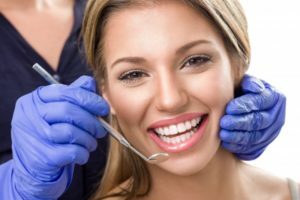 Here at Advanced Dental Treatment Center, we work to prevent all dental problems no matter what conditions you may already have. It’s best to discuss what your goals are for your oral health with your family dentist in Greenfield so that we can make the best recommendation for you. Learn more about how we can help you today by giving us a call!